I saw this sign today as my wife and I were driving home from our local grocery store. It warranted a detour in order to stop and take the picture. I don't usually get overly offended by billboards and the like, but this sign left me moderately annoyed. Why? I don't know exactly. Maybe because I see it as yet another mockery of Christianity by some faction or sect. To be fair, I don't know anything about the group that is hosting this, but it's got me wondering if it isn't somehow related to the 2012 End of the World Paranoia centred around the Mayan Calendar. If you are a follower of this teaching, maybe you had better get your house in order, for you have less than two months to live (I am being facetious). Maybe it bugs me because in it I see masses of people, Christians included, who are already confused about what they believe, becoming even more led astray down the garden path of religious confusion. 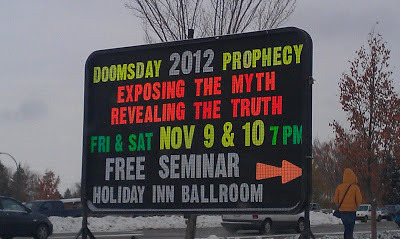 Maybe I'm missing something here, but do people really need to focus on "Doomsday" prophecies today? Maybe instead of doomsday seminars there ought to be a seminar on discovering what "Christ in You, the hope of glory" (Colossians 1:27) means and how that is (or ought to be) lived out in our lives today. Isn't it logical to assume that if people really learned what "Christ in you" means that everything else would become strangely less significant? As someone has said, "I may not know what tomorrow holds, but I know who holds it." Maybe we need to forget the doomsday prophecies. Maybe instead we would do well to get to know Him who holds all our tomorrows, however many of them there may be. After all, if we are safe in His arms today, wouldn't it be logical to assume that we will still be safe in His arms at the time of the end of the world, whenever that day happens to come? Focussing on any end-times stuff without first getting to know Christ is, in my way of thinking, putting the proverbial cart before the horse. Maybe the reason this bugs me so is because it wasn't that terribly long ago since another deception, the Harold Camping end of the world fiasco, that resulted in many being duped and many more ridiculing the Christian faith. It also resulted in me posting this Rapture Apology online on behalf of other Christians, like myself, who were troubled by false prophet Camping's deception. Maybe what I need to do is to prayerfully attend this free seminar. Furthermore, maybe I need to also be prepared, if the Lord so leads, to share my two cents worth. Hmm. But then again, maybe I had best stay far away, for "people will not endure sound teaching but having itching ears they will accumulate for themselves teachers to suit their own passions, and will turn away from listening to the truth and wander off into myths" (2 Timothy 4:3-4). Maybe Jeremiah's prophecy also rings true in our day as well. Is that what's happening here? Hmm, sometimes I cannot help but wonder. 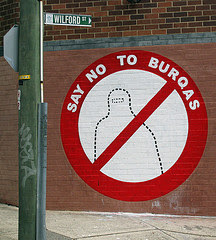 There seems to be a growing concern by many that we may one day find ourselves under Sharia Law here in Canada. Could they be right? Is there any merit to such fears and concerns? Where do these fears come from? As I write this post, the Internet is full of stories of the school girl who was shot by the Taliban, apparently simply because she was outspoken and wanted to gain an education. She has since been airlifted to the UK for medical treatment. A horrible story to say the least. Though perhaps adding fuel to the discussion, is that event causing people's fear of Sharia Law coming to Canada? Maybe. Perhaps it also has something to do with visible increased immigration in our communities. Why are people so scared? I wish I knew. No, under the Canadian Charter of Rights and Freedoms, we need not fear being subjected to Sharia Law. The only way that could ever happen is if enough militant Muslims get elected into Canadian politics and initiate the process to change our laws and constitution. Even then, we Canadians would still have to buy into their plan. Could all that happen? I suppose there is always a remote chance, but if I was a gambling man, I wouldn't bet on it. Is the Church About to Become Illegal? Recently I posted an article called Pay to Pray? in which I commented on the growing exodus of people from the institutional church in Germany as characterized by the refusal of church members to pay the government's imposed church tax. These events in turn led to the implementation by the Roman Catholic Church of Germany to excommunicate huge masses of her people. This led me to wonder, could something similar happen here? No, we do not have a government imposed church tax system here, at least not yet. But we do have a government that does already have a significant involvement in how the church operates its faith. I know some will balk at that suggestion, but please bear with me as I reflect on a few recent events, as well as some other events that I see as yet to come into our land. While I cannot speak for other western countries, here in Canada the government gives charitable donation receipts for donations to recognized non-profit organizations, including religious institutions. So the more that one gives to the religious institution, the lower one can make the taxable income line on one's annual income tax return. This begs a giant question for me. Would the faithful still give as much if they did not receive that income tax receipt? Suppose the government, in setting a new budget, suddenly announced that it was cancelling this taxable benefit. Would people still give, and if so, would they do so to the same level? No doubt some still would continue to support their local religious institution, but people get funny when it comes to their wallets. Though Jesus said not to worry about all such things (Matthew 6: 24-34), worry we do often do anyways. If we're honest with ourselves, we'd have to admit that many of us do in fact live as if we serve two masters; God and money. The fact is, the government is already meddling with church taxes here too. It would be naive of us to think otherwise. It would equally be naive of us to assume that the current system will not change, for better or worse, simply based upon the whims of those who happen to be in power over us. It is no secret that institutional church systems need money, and lots of it. They require money to pay huge mortgages, utility bills, equipment and office supplies, pastor(s) salaries and benefits, and then presumably to give the left overs (if there are any) to missions and other programs that it deems worthy. Where does all this money come from? It comes from the tithes and offerings of the faithful. In return for giving, the faithful receive back from the institution an income tax receipt whereby they can receive back in tax credits approximately $4.00 on every $10.00 donation [Note: this is an assumption on my part; I don't know exactly what the current percentage actually is]. If giving to the institution suddenly dropped, or ceased to exist all together, due to new government regulations, what would happen to that religious institution? That's rather obvious, isn't it? It's doors would close and its pastor(s) would find themselves unemployed. I have already seen this first hand. What would become of all those institutional church buildings? Well, like one former institutional church building near where I live, I guess they could be turned into museums (yes, I'm being facetious). That leaves the question of what would become of the people. I remember a dear elderly saint who once asked me when her church building was about to close, "Where shall we go?" I didn't have the heart to tell her that "Church" is about what you are, not about where you go. What becomes of the people? Some, like this lady, end up in other institutional systems. For others it's a return to the house church or other forms of organic fellowship. So if we all just go back to fellowshipping in private homes, does that mean that all our institutional and religious woes would just go away? Not necessarily. Governments like institutions because of the control it gives them. Some municipalities have already toyed with making non-institutional home-based Bible study fellowships illegal without a permit, such as in this case. Before we think that the previous California case was just a fluke, maybe we would do well to think of the Arizona pastor who was jailed and fined for also hosting a home-based Bible study fellowship in his home. How many more communities are currently doing likewise, or at least, considering it? Let's not be naive about this. Governments are already beginning to stir the pot to making the non-institutional home-based church fellowships illegal. Mark my words, it will only get worse. We will be seeing more and more of this religious oppression here in North America too. Please let me digress for a moment. It is interesting that Jesus, in speaking about the end of the age, said, "many will turn away from the faith" (Matthew 24:10). I wonder if this apostasy has anything to do with government oppression and persecution? Hmm. Is there change in the wind? I think so. What will it look like? I do not know. I am not a fear monger, but this is just my humble little opinion. Peter once said, "Dear friends, do not be surprised at the painful trial you are suffering, as though something strange were happening to you. But rejoice that you participate in the sufferings of Christ" (1 Peter 4: 12-13). Though written to a people of a different time and place, perhaps one day very soon this passage of scripture will become the mantra of the North American church as well. "Do not be surprised, my brothers, if the world hates you" (1 John 3:13). Are you surprised? Dear friend, don't be. Jesus said, "If they persecuted me, they will persecute you also" (John 15:20). The North American church has yet to experience real persecution, but I believe it's coming. Let's not bury our heads in the sand on this one; it's time to wake up and read the signs. The signs are already there. What will you do on that day? "When the Son of Man comes, will he find faith on the earth?" (Luke 18:8). Will He find faith in the North American church? I think so. 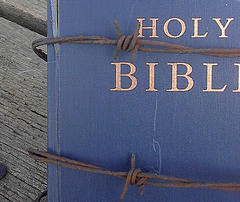 Historically the church has always thrived in times of persecution. Maybe this is just the wake up call that it needs. Maybe this is just what the Doctor ordered to wake us up from our lethargy. Is the North American church about to enter her own period of Christian persecution, such as the church in places like China and Iran have already come to know? I wonder. Peace. Have you ever wondered how traditions start? I have. When you really stop to think about it, there are some pretty strange things that we often do, and equally as often, we do them without even really knowing why. We call them, "Traditions." In that 1971 classic film, Fiddler on the Roof, Tevye said, "Traditions, traditions. Without our traditions, our lives would be as shaky as ... as ... as a fiddler on the roof." We value our traditions. Many a great family gathering is based on traditions. They take us back and fill us with wonderful childhood memories. Many a good time has had its origin in our family and church traditions. Yet we would do well to be careful with them too, lest they keep us from that which is truly important. In chastising the Pharisees, Jesus had a negative thing to say about their traditions when He said, "And why do you break the command of God for the sake of your tradition?" (Matthew 15:3). Can our traditions, pleasant as they are, actually keep us from walking closer to God? Heaven forbid, but do we sometimes also "break the command of God" by keeping our traditions? Ouch. 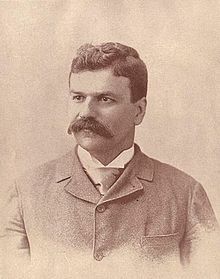 A while ago I came across the following poem attributed to Sam Walter Foss that I would really like to share with you. I love this poem. Does it explain the origins of traditions? Perhaps it does. And out and in, and forth and back. 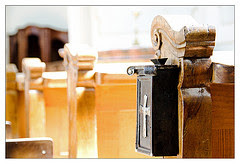 The faith section of our local newspaper this weekend carried the headline, "No sacraments without taxation: German churches exclude believers who won't pay religious tax." When my wife showed me this article, she asked, "Blog fodder?" Hmm, I guess she knows me pretty well. Having said that, a caveat is in order. I am NOT interested in a religious or Catholic bashing exercise. I also confess that there is much that I do not know about the German tax system, so I will not presume to have the ability to properly critique it here. Though I have ventured into that arena before (God forgive), I am tired of people who are always attacking people from other faith groups; there is nothing positive to be gained by that. The only thing that proves is that we have not yet learned to love one another with the love of Jesus. I do, however, have more questions than I have answers, and it is my hope and prayer that this is all taken in the spirit in which it was intended. First, a couple interesting statistics from this article. It is alleged that Germany's religious tax surcharge for Catholics, Protestants and Jews sits "up to nine percent on their income tax bills." That works out to about $72 per month for a single person with a gross monthly income of $4500. The article went on to say that, for the Catholic Church in Germany, this represents an income of about $6.5 billion annually. For the Protestant camp (I assume they're referring to mostly to Lutherans), this tax generates about $5.2 billion annually. Neither of these figures include donations that the churches receive from the faithful in addition to the taxes they already pay. Apparently, as I understand it, the only way that the German citizens can get out of paying the religious tax is to officially declare to the tax department that they are no longer church members, even if they still are believers. Do this, says the Roman Catholic Church, and you can forget the idea of any future marriage, baptism and burial "sacraments" in the church. If you don't pay, are they then essentially saying, you cannot pray? I hope not. Apparently many in Germany have had about enough of the religious taxation imposed on them. The 2010 figures show an official loss of 181,000 Catholics, and another 126,000 last year in 2011. Certainly that drop in official membership represents a significant drop in revenue for the Catholic institutional system. My brother shared a link to the same story from the National Catholic Reporter which ran an update entitled, "German Court: Catholics who don't pay religious tax must leave church." The article was dated September 12, 2012. Here's where it gets confusing for me. Is all of this a return to the old practice of Indulgences? Is this a return to the old Roman Catholic theology of merits and good works as a means of earning a reward and blessing from the Catholic Church, and by extension, from God himself? It was once even taught that punishment for sin could be remitted if the offender paid a financial "indulgence" to the church coffers. Basically this amounted to a Get out of Purgatory Free card. What about justification by grace alone? Is that what the Roman Catholic Church of Germany is saying by this stand it has taken? Does this represent a return to its pre-Reformation days? Is it advocating a "Pay to Pray" policy? Based of the huge exodus from its membership roles (407,000 in just the last two years alone), it would appear that the German people are saying to the Catholic Church, "Enough is enough." No doubt this all goes much deeper than this, and I've probably only skimmed the surface, but that's the way I am beginning to see it. Am I missing something here? What is your take on this? Photo Credit: Flickr Creative Commons "Save Money or Soul"